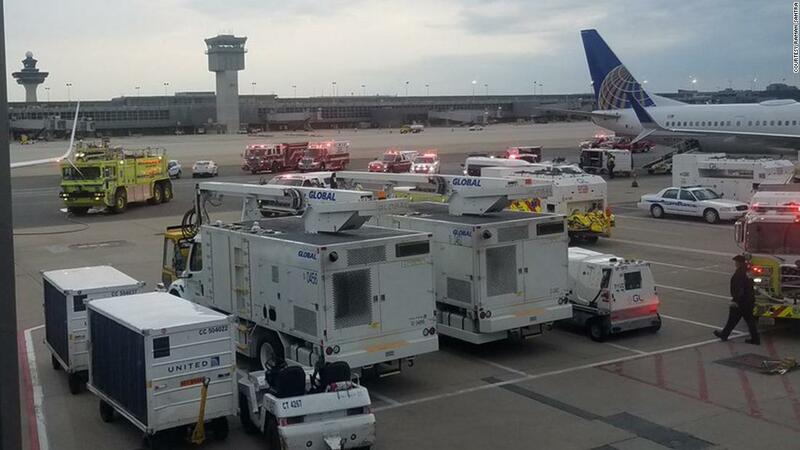 The plane landed without incident according to a statement from Dulles International Airport. The fire and rescue department responded to the scene and transported seven passengers to local hospitals for evaluation, the statement said. Raman Santra, one of the passengers on the flight, said a scent of fuel in the cabin caused more passengers to complain of nausea, chest pain and breathing difficulties. "Before starting, you could discover a faint smell of fuel that I didn't believe in," Santra told CNN. "As we continued to go to the cross height, the smell became very strong." United Airlines canceled the aircraft and informed passengers that the aircraft, a Boeing 737, required "long-term ventilation maintenance," said Santra. Santra's wife, Jo Palmer, was one of the seven in the hospital because she had more acute symptoms. He said United Airlines representatives offered to take care of hospital bills and other expenses. Palmer is doing better now, and the two are hoping to make it their friend's wedding later Friday, Santra said. United Airlines did not respond promptly to a request for comment. The incident did not affect airport operations, Dulles officials said.